John Frederick Joseph Cade was born in Horsham in 1912. He was the eldest son of a country general practitioner in the southern Mallee region of Victoria and followed his father into the medical profession. His father, David Cade, had returned from his service as a field ambulance medico in France and at Gallipoli in World War I with ‘war weariness’ and, finding himself unable to return to the heavy demands of a country general practice, accepted a government position with the Lunacy Department at Beechworth Hospital for the Insane. 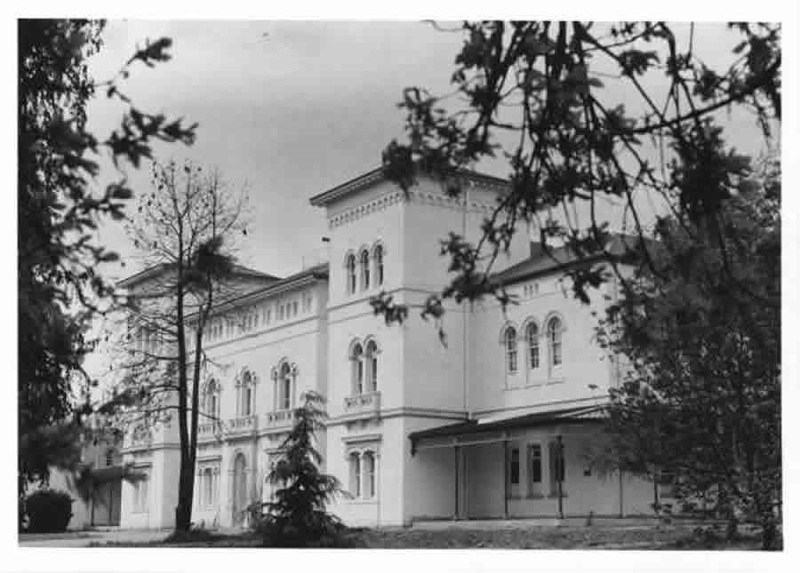 At that time such appointments were live-in positions so John and his brothers spent much of their childhood on the premises of first Beechworth, then Sunbury Asylum and Mont Park Mental Hospitals, their father’s subsequent appointments. Not only did John Cade follow his father into medicine, he also – after spending a little time in paediatrics as his intended speciality – switched to psychiatry; his first appointment was as a Victorian Department of Mental Hygiene medical officer at Beechworth in 1936. Cade then enlisted in World War II, was captured at the fall of Singapore and spent the rest of the war imprisoned at Changi, where, as well as general medical duties, he was responsible for a small secure ward for Australian and British prisoners with psychiatric disorders. It was perhaps this period that firmly convinced Cade that an underlying physical or chemical problem was the basis for much mental illness. Post-war Cade was appointed in 1946, aged just 34, as a resident doctor at the Bundoora Repatriation Mental Hospital, 20 miles north of Melbourne. At this time the options for treatment of long-term patients with manic depression were limited and the use of straitjackets common. There was no single effective therapy: barbiturates, bromides, coma therapy and electro convulsive therapy (ECT) were used from the 1930s with limited and usually only temporary success. There were few prospects for such patients other than long-term incarceration. It was in this environment that Cade began to think that chemical imbalances might be responsible for manic depression: an excess of something in the brain during the manic phase and a deficit in the depressive stage. In order to test this hypothesis he instructed his staff to collect the urine of patients (it was stored in the family refrigerator) and in a makeshift laboratory he injected guinea pigs with extracts of his manic patients’ urine. Lithium, a metal found in trace amounts in many plants, invertebrates and mineral spas, had been used in earlier times for a variety of ailments until toxicity problems reduced its use, but it was still available. Cade found it a useful substance to make uric acid water soluble and he further found that, when injected with this solution, the guinea pigs became calm and compliant. Encouraged by the effect on the guinea pigs Cade decided to try it on a patient, after spending a few weeks secretly taking it himself to be sure of its safety. He later quipped that in the course of his career he had tasted his way halfway through the periodic table, including sampling strontium, which had made him extremely ill. The first patient Cade chose to treat with lithium in an oral solution, in March 1948, was Bill Brand, a 51-year-old returned serviceman who had been psychotic for 30 years, since enlisting in 1916. Brand had been an inmate in Bundoora for five years, ‘restless, dirty, destructive, mischievous and interfering … the most troublesome patient in the ward’. Brand’s response to treatment with lithium was so dramatic and rapid that, within three months, he was able to be discharged and returned to the community on indefinite leave. In this period Cade treated nine other patients. He published his results in the Medical Journal of Australia in September 1949 and within a year of the publication of this paper perhaps as many as 200 patients were being treated in Australia. However, lithium therapy was difficult to administer because of its toxicity in higher doses and the lack of a suitable tool to accurately measure its levels in the blood. Several patients died of lithium poisoning, including Bill Brand, two years after his first treatment. 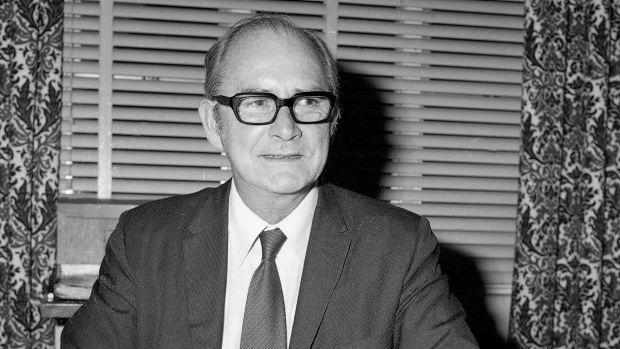 From the time his paper was published, Cade’s achievements were recognised, particularly by the invitation to deliver two public lectures on psychiatry at the University of Melbourne in 1951, in which he not only criticised Freudian psychology, affronting many of his colleagues, but also discussed the value of research without mentioning lithium. Further recognition came with advancements in Cade’s career: in 1950 he was appointed as Medical Superintendent at Bundoora, almost certainly as a result of his lithium research and in 1952 he was further promoted to the position of superintendent of Royal Park Mental Hospital, the most important psychiatric hospital in Melbourne, a most significant position for a man of 40. He remained at Royal Park until his retirement in January 1977 at the statutory retirement age of 65. It appears that Cade became wary of lithium following the early deaths and banned its use at Royal Park. However, the emergence of interest in the drug from other researchers in the later 1950s, principally through the work done by a Danish psychiatrist, Mogens Schou, reignited Cade’s interest. Schou’s trials with the drug found it to be effective not only in the treatment of mania but also as a prophylaxis for the depressive phase. The book also tells the fascinating story of the difficulties in convincing United States authorities of the efficacy of lithium after it had been banned and all stocks destroyed after a period in which patients with hypertension were urged to use it as a salt substitute with disastrous, and fatal results; this occurred within a year of the publication of Cade’s paper. Cade comes across as a compassionate physician and well-respected administrator, a reserved, experimentally-minded, dedicated observer, pragmatic, yet an almost secretive man. Still, he had a very difficult relationship with Dr Eric Cunningham Dax, the English psychiatrist who had been brought out in 1951 to lead the new Victorian Mental Hygiene Authority. It is not inconceivable that Cade’s Catholicism was a factor in this relationship; Dax’s comment on Cade’s religion when assessing him is significant. Remember this was at a time when Menzies had just one ‘token Catholic’ in his ministry from 1949, Senator Neil O’Sullivan, and when a savage sectarian climate, particularly in Victoria, accompanied the Split in the ALP. The authors have done a fine job in telling Cade’s story, based mainly on interviews with his family, medical records and correspondence. 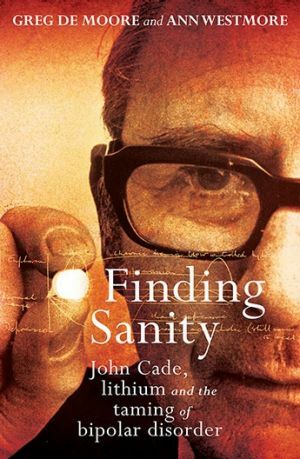 Cade appears not to have left an extensive collection of papers, although after his retirement he published a history of 20th century psychiatry, in which, significantly, he did not take the credit for the development of lithium therapy. It may also be significant that in Cade’s later years, when his contribution was recognised widely, both in Australia and internationally, and he became somewhat of a celebrity in Australia, in interviews about his achievements and the use of lithium he failed to mention the death of his first patient, Bill Brand. There is no doubt that Cade’s almost chance discovery of lithium’s efficacy was a major accomplishment in the development of Australian and world-wide psychiatry. This cheap, effective medication remains the drug of choice for the most severely affected bipolar disorder patients. * Janet Wilson is a semi-retired librarian who has reviewed a number of books for Honest History, including Frank Bongiorno’s The Eighties: The Decade that Transformed Australia. ‹ Bond, Catherine: Is it time to repeal Australia’s century-old laws on the use of the word “Anzac”? ?